PE0267. 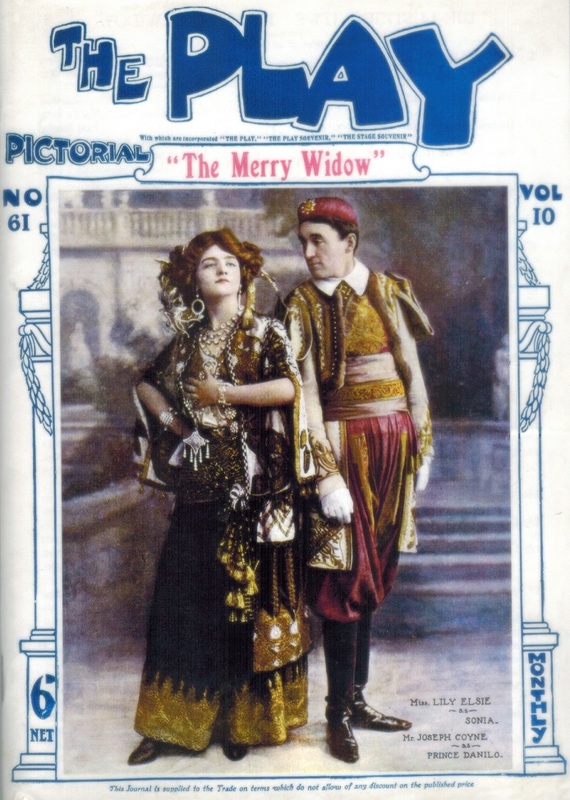 DIE LUSTIGE WITWE (The Merry Widow) (Lehár), recorded 1906 [primarily Original Viennese cast], w.Mizzi Günther, Lois Treumann & Franz Werner; DIE LUSTIGE WITWE (The Merry Widow) (Lehár) recorded 1907 [primarily Original London cast], w.Elizabeth Firth, Robert Evett, Harvey Hindermeyer & Elsie Sinclair; Dance Music from the Operetta, recorded c.1908 & 1922. (England) Palaeophonics 92, Revised Edition w.Elaborate ‘The Play’ 36pp. Brochure replete with photos of the production & biographies. Excellently transferred from the legendary Acoustic 78rpm rarities. 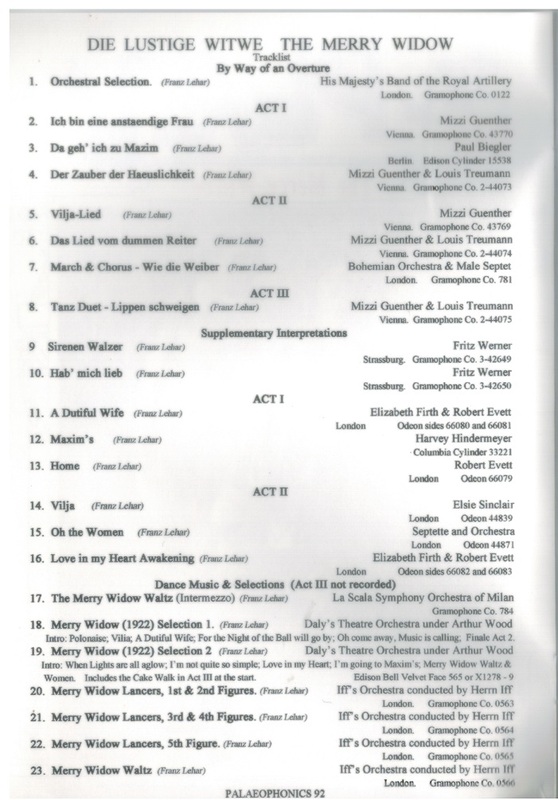 The operetta toured Austria and in 1906 enjoyed productions in Hamburg's Neues Operetten-Theater, Berlin's Berliner Theater (starring Gustav Matzner as Danilo and Marie Ottmann as Hanna, who made the first complete recording in 1907), and Budapest's Magyar Szinhaz.